Database is the tool used to store essential information in a single system. The database is significant to those who want have large information on hand. With the use of any database, information will become organized and efficient. That’s why many databases are used to supplement learning in children, to aid in the sharing of files in networks, or to organize information for businesses. But what are its uses as well as its impact on manufacturing and businesses? Today, database is widely use in schools and businesses. 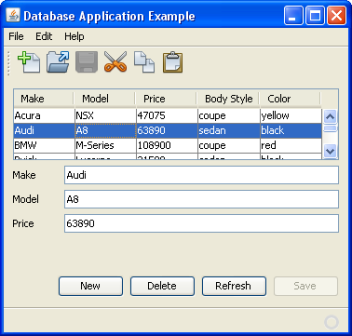 To make the database available to majority of users, it is incorporated in some of the computer software available in the market like Microsoft, Macintosh and other open sources. If you have open source software, you probably have two significant database options – the MySql and Postgre SQL. My SQL is the most commonly used open-source application. This type is used in blog software and large sites, but you should be reminded of its limited capacity to handle multiple applications at the same time. On the other hand, the Postgre SQL is smaller but a much stronger and safer tool for multiple applications. Postgre SQL also allows users to have a group of data applications with only a less limiting license. Microsoft, on the other hand, has a more professional software that deals with your databases. With the use of the Microsoft Access office, users can effectively store, extract and manipulate information. The only drawback of this type is that it only works on Microsoft-powered computers. Another tool users can consider under Microsoft is the Microsoft SQL server, which definitely provides you with standardized tools for easy and efficient production. File maker developed by Macintosh will definitely suit those who want a user-friendly database application. The File maker is fully functional and can hold a large amount of information. But if you’re going to use the File maker, you must have a Macintosh-operating system. Most companies integrate the use of their databases to the manufacturing of their products. With the use of the database access, manufacturing not only became cost-efficient but products are of high quality as well. The database also allows businessmen to decide more accurately, especially on the most significant part of their businesses. As a result of easier information access, maintaining the standards and decision-making also became easy. Database applications are significant when it comes to planning for new products as planning requires the integration of ideas between the engineering, the marketing, the production as well as the customers. The use of these database applications also allowed its users to have a free-flow communication, and as result, conceptualization of new products can be planned wisely. The manufacture engineering database applications allows users to implement new product designs as well as recognize the cost of your engineering changes. Using the “Cost Management” and “Financial Analyzer” database application, cost management can also become organized, especially since each product will be monitored under strict quality control. Database applications for manufacturing and businesses will surely make the lives of both employers and employees easier and far more structured. What is a Microsoft SQL Server Database? What is Database Administration and Automation?